Getting a loan for a small business can be a difficult process. Large banks generally approve less than 25% of applications for a business loan which is a reason why startups can fail. It is even harder to get a loan if you have bad credit because low interest credit cards might not approve your application. Bad credit is defined as a FICO score under 629. If you are an entrepreneur and this description fits you, you may be wondering how to get a business loan with bad credit. Here are five ways to get a business loan with bad credit. The most common way to get a business loan with bad credit is to ask your friends and family for help. More than 50% of entrepreneurs explore this option. Bad credit may not matter to friends and family. They know you personally, and they want to see you succeed. A bank is generally only concerned about a return on their investment. This is a good way to get capital when starting a business, or to pay off debts to improve your poor credit rating. Be careful you do not borrow too much. You risk causing tension in your personal relationships if the business fails. The most common way for entrepreneurs to get a business loan with bad credit is to ask friends and family. Before you lose hope, double-check your financial needs. You may qualify for a Small Business Administration (SBA) 7(a) loan if you can manage with less than $35,000. Perhaps you can adjust your budget. Look at your business plan again to see if you can omit an expensive item that will bring your financial needs under $35,000. These loans are government guaranteed, so lenders are open to financing entrepreneurs with less than perfect credit. Check your financial needs and speak with your local SBA office. They might provide a possible solution for how to get a business loan with bad credit. Similar to the SBA option, look for micro-lenders for a business loan if you have bad credit. Micro-lenders are non-profit organizations that might grant you a micro-loan under $50,000. This may be available to you if you are starting a business in an economic empowerment area that would benefit the local community, like a tech startup. Your business could bring revenue and jobs to an under-served economic area. Micro-loans are also designed to help startups owned by minorities and women. If any of these factors apply to you, consider micro-lenders as an option to get a business loan with bad credit. Another way to get a business loan with bad credit is through a revenue based loan. This is a relatively simple process that relies solely on how much money your business earns on a monthly basis. If you are already in business and looking to expand or you know how much you will make in a month, this may be an option for you. A revenue based loan does not require high credit because it uses the money you deposit to pay it off. Your business plan will need to detail how much money you will make in order to qualify for this option. If you have bad credit but know your business will make a consistent figure each month, check out revenue based loans. Peer lending platforms, like Lending Club and Upstart, offer another viable finance solution for entrepreneurs with bad credit. Finding business loans with bad credit is tough, and this is still true when dealing with individual private investors versus banks. However, a private lender is much more likely to hear you out when you offer up a great business plan in support of your loan request. Individuals will be much more likely to look at you as a person and the viability of your business plan over an arbitrary credit rating. If you have poor credit and want to find business loans, consider looking for investors on peer lending platforms, which may give more weight to your business plan than your credit score in the decision making process. This is another common option for entrepreneurs with poor credit who need help paying bills. Offering collateral such as your house is one way to secure a loan. However, this is an extremely risky option. If your business struggles and you fail to pay debts, you may lose your home in the process. This is called a home equity line of credit, also known as “betting the farm.” You should explore all other options before risking this type of loan. If you want to get a business loan with bad credit and you have no other options, you may offer your house as collateral. Getting a business loan with bad credit is not impossible, but there are risks to consider. Use this post to determine if you can get a small loan through the SBA or a micro-lender. 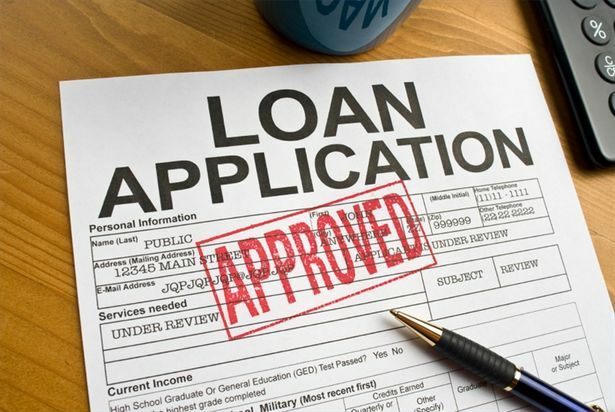 Research revenue based loans if you have a strong business plan, or consider asking friends and family for cash. Finally, if you have no other options, you may offer your house as collateral. Use this post as a guide for how to get a business loan with bad credit. Soon, your entrepreneurial endeavors will become a reality, regardless of your credit score.